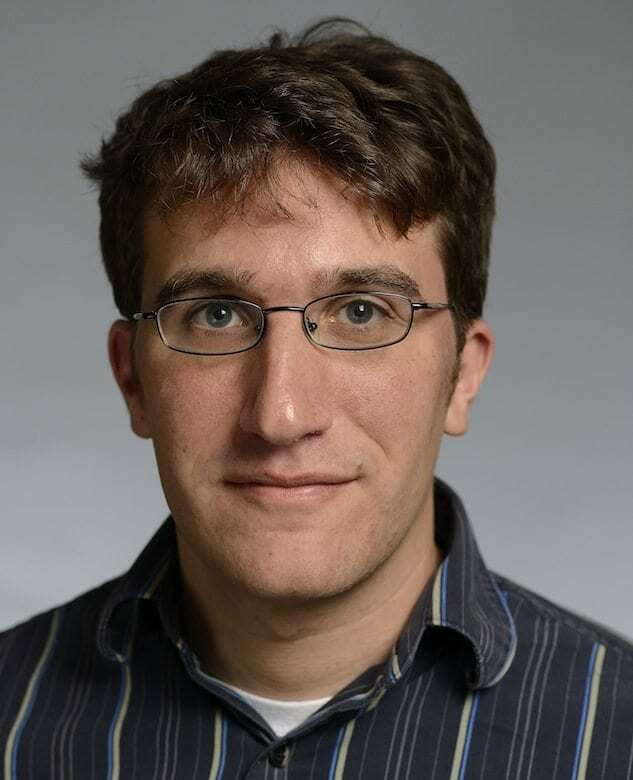 Jacob Bernstein is an assistant professor in the Department of Mathematics at Johns Hopkins. He completed his PhD at MIT in 2009 under the direction of Tobias Colding. He helps to organize the Analysis and PDE Seminar at Johns Hopkins and the Metro Area Differential Geometry Seminar which is joint with University of Maryland and Howard University. His work focuses on geometric analysis, with a particular emphasis on minimal surface theory and mean curvature flow. Minimal surfaces are mathematical idealizations of soap films. In addition to being a beautiful subject in itself, the theory of minimal surfaces interacts with many branches of mathematics and has found important applications in geometry, topology and theoretical physics. Likewise, the mean curvature flow has had important applications in materials science and in computer imaging. A Topological Property of Asymptotically Conical Self-Shrinkers of Small Entropy (with L. Wang). A Sharp Lower Bound for the Entropy of Closed Hypersurfaces up to Dimension Six (with L. Wang). One-dimensional Projective Structures, Convex Curves and the Ovals of Benguria & Loss (with T. Mettler). Commun. Math. Phys. 336(2015), no. 2, 933-952. ArXiv. A Remark on a Uniqueness Property of High Multiplicity Tangent Flows in Dimension Three (with L. Wang). To Appear: Int. Math. Res. Not. Topological Type of Limit Laminations of Embedded Minimal Disks (with G. Tinaglia). To Appear: J. Differential Geom. Two-Dimensional Gradient Ricci Solitons Revisited (with T. Mettler). To Appear: Int. Math. Res. Not. ArXiv. Characterizing Classical Minimal Surfaces via a Meromorphic Quadratic Differential (with T. Mettler). Some Singular Limit Laminations of Embedded Minimal Planar Domains. Int. Math. Res. Not. 2012 (2012), no. 18, 4301–4324. Symmetry of Embedded Genus 1 Helicoids (with C. Breiner). Duke Math. J. 159 (2011), no. 1, 83–97. ArXiv. Conformal Structure of Minimal Surfaces with Finite Topology (with C. Breiner). Comment. Math. Helv. 86 (2011), no. 2, 353–381. ArXiv. Distortions of the Helicoid (with C. Breiner) Geom. Dedicata. 137 (2008), no. 1, 143-147. ArXiv.